Slim While you Sleep | Gastric Mind Band | Non Surgical Weight Loss | Read the case studies today. 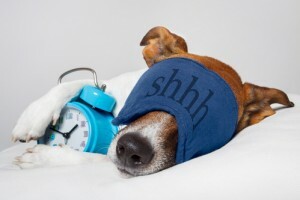 Featuring an in-depth review of just how important sleep and deep relaxation are in the field of permanent weight loss: how to “slim while you sleep” explained! It’s official – the less you sleep the more you eat! Maybe you think it’s a “chicken and egg” type situation – do people gain weight BECAUSE they lack sleep, or do overweight people tend to have poorer quality sleep BECAUSE of their excess weight? It’s a classic example of the proverbial vicious circle! Lack of sleep can often lead to weight gain, but then, as the NHS confirms, the majority of people who suffer from obstructive sleep apnoea, (OSA), and the resulting daytime fatigue, are also overweight. Recent research conducted in 2015 concluded that just losing out on 30 minutes sleep per night during the week can cause people to experience weight gain, but also, possibly a more shocking, and unexpected consequence was the potential metabolic changes such as insulin resistance. The study was funded by Diabetes UK and UK National Institute of Health research, and was lead by Professor Sharad Taheri. Get slim while you sleep, but don’t sleep for too long! But apparently, there is an OPTIMUM number of hours sleep to aim for, which research has proven to be between 6-8 hours per night. In scientific trials, those who slept for MORE than 8 hours per night were just as prone to weight gain as those who slept for less than 6! So don’t fall into the trap of thinking that if you spend 10 hours in bed every night, you’ll automatically lose weight. Unfortunately, the positive, restorative benefits of getting just the right amount of sleep can easily be outweighed by the negative effects of spending too long being totally inactive! This information is provided on the NHS website page about sleep and weight loss. A small study of 30 normal weight, healthy men and women, published in the American Journal of Clinical Nutrition, discovered that on days when these participants were deprived of sleep, they didn’t expend any more energy than usual, but they did consume an average of 300 calories more than on days following an adequate night’s sleep. So if you’re trying to lose weight yourself, but you often find yourself staying up late at night, feeling tempted to snack in front of the TV, maybe you should consider getting yourself to bed a bit earlier with a good book to read, which will not only help you to get a decent night’s sleep, but will also save you from consuming some of those unnecessary calories! In other words you will give yourself chance to get slim while you sleep! ‘People who are sleep deprived have an increased appetite. Inadequate sleep lowers levels of leptin, a hormone that suppresses appetite, and increases grehlin, a hormone that increases food intake and is thought to play a role in long-term regulation of body weight. Slim While You Sleep. When you’re sleeping your body has chance to recharge its batteries, repair and restore cells, and generally rejuvenate itself. Sleep deprivation causes a spike in the stress hormone, cortisol, which is also known to increase your appetite, and also when you’re feeling stressed, your body craves more fat and sugar. As if that in itself wasn’t bad enough, lack of sleep also has the effect of making our fat cells less sensitive to insulin, (or insulin resistant), which means that glucose (sugar) builds up in the blood, instead of being absorbed by the cells. This in turn can lead to prediabetes or even Type 2 Diabetes. A study published in the Annals of Internal Medicine came to the conclusion that sleep restriction results in an insulin-resistant state. The GMB treatment involves a clever combination of a number of completely natural, proven, psychological approaches and therapies, including CBT, Time Perspective Therapy, NLP, Hypnosis, Guided Imagery, Mindfulness Techniques and their very own Pause Button Therapy® incorporating TactileCBT® along with Cognitive Engineering. One of the key elements of the GMB therapy are the deep relaxation / visualisation and hypnosis sessions, which are digitally recorded and presented to each client as part of their GMB “toolkit”. Clients are advised to listen to the audio sessions as often as they can, to reinforce all the positive affirmations, which have been given to them during their time at the clinic. The best time to listen to these relaxing and therapeutic sessions is usually in the evening just before you go to bed, as it helps put you in a positive frame of mind and also, coincidentally, promotes a restful night’s sleep. And after reading this article, you should be well aware why that is so important to help you lose weight…. you too can “slim while you sleep“! You can find lots of useful information in our blog section of the gmband website, but you may be particularly interested to read the piece entitled “Why a good night’s sleep is so important for weight loss”.